Villages in the Spanish region will now be able to specify where their wine was produced. Every wine region has its own labeling conventions and quirks. America, for instance, has had a long love affair with focusing attention on grape varieties. Meanwhile, France is obsessed with specifics of location. In Spain, wines have traditionally been labeled according to how and how long they have been aged—but in Rioja, producers are finally getting a bit more flexibility to offer drinkers additional information. Rioja, located in northern Spain not too far from the French border, is best known for its typically Tempranillo-based reds (though you can certainly find white and rosé Riojas as well). The region’s labeling rules dictate that these reds receive one of four classifications: Joven, which doesn’t have any aging requirement; Crianza, which must be aged at least two years, one of them in barrel; Reserva which wines must be aged for a minimum of three years, one of them in barrel; and Gran Reserva which must be aged at least five years, with two of them spent in barrel. 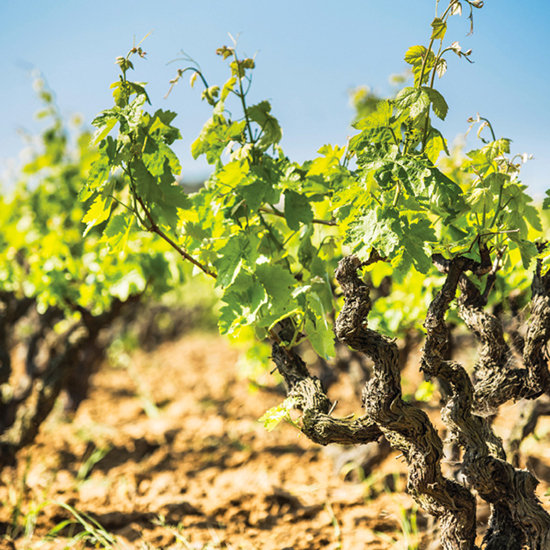 However, the problem with focusing on age is that it neglects the important distinction of terroir, and with an area of well over 200-square-miles, Rioja has plenty of varying terroir. But recently, Rioja has been allowing for more and more detail on its labels. In 1998, producers were allowed to use the names of three subdistricts: Rioja Alta, Rioja Alavesa and Rioja Baja. Then, earlier this summer, the region approved “Vinedos Singulares,” or single vineyard, classifications. Now, according to The Drinks Business, the Rioja consejo (board) is also introducing village or zone wines which will allow a producer to indicate the individual municipality or town from where the product originates. “This also meets the concerns of operators, opinion leaders and final consumers, who want to see on labels more information about the great diversity of wines offered by the DOCa [Denominación de Origen Calificada] Rioja,” the consejo was quoted as saying. “These indications will complement the traditional and successful range of wines made with blends from different sources.” The new rules will also allow for this information to be presented in larger text as long as that text doesn’t stand out more than the “Rioja” name. In the past, the additional text had to be at least two-thirds the size of the name of the region. Though allowing wines to be labeled by where they come from—a common convention around the world—may seem obvious, it’s actually a big step for Rioja, a well-known region that’s seen plenty of pushback from smaller wineries about their inability to show their individual origins. Overall, more information would certainly seem like a good thing, though for casual wine drinkers who thought they knew the region, they may have to take a fresh look at their favorite labels moving forward.